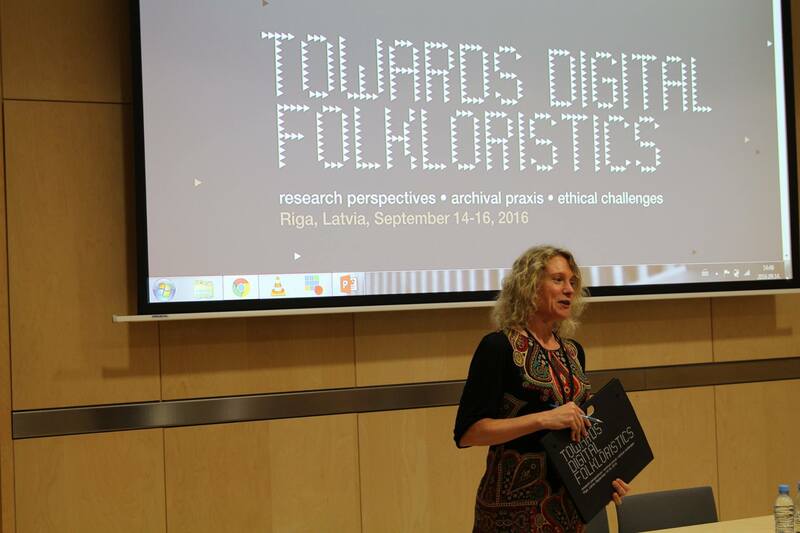 In September 14–16, 2016, the conference “TOWARDS DIGITAL FOLKLORISTICS: research perspectives • archival praxis • ethical challenges” will take place in Riga, Latvia. The conference is devoted to the rapidly evolving field of digital folkloristics with a particular focus on tradition archives dealing with information technology. The conference will bring together a range of scholars and folklore archivists, as well as community practitioners to launch a reflexive discussion about the disciplinary outcomes, challenges and perspectives of “the digital age”. The programme includes more than 30 papers to be presented by participants from 19 countries. A diverse range of issues on digital archiving and recent developments in folklore archives around Europe and beyond, as well as research topics concerning online communities, social networks and virtual participatory practices in regard to traditional culture will be explored. On September 16, the meetings of the SIEF Working Group on Archives and the Network of Nordic and Baltic Tradition Archives will take place. For program and further information, please, visit the conference website: http://lfk.lv/conference. The conference stands as an interim conference of the SIEF Working Group on Archives. It is organized by the Archives of Latvian Folklore in cooperation with the SIEF WG on Archives and the Network of Nordic and Baltic Tradition archives. Supported by the Nordic Culture Point and the Ministry of Education and Science of Republic of Latvia.